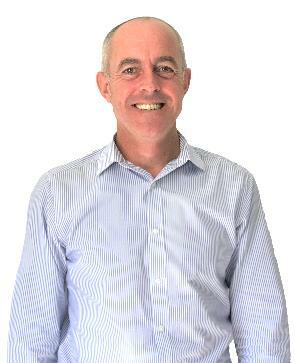 Mitch kicked off his career with Insurance Firms in the UK, until his drive to find unique solutions for his clients lead him into the Broking field in 2004. He’s been in the industry for more than 20 years now, 11 of which he ran his own Insurance Broking business before launching QPF Insurance Services in 2018. A particular focus and passion for Mitch is ensuring his clients fully understand what they’re covered for, whether that be their home and contents insurance or more complex business risks – there’s no surprises when Mitch has you covered! Notably, Mitch has built a fantastic reputation within the industry due to his ability to offer a full set of services, from sourcing terms through to managing covers and guiding clients through the claims process. In his spare time, Mitch appreciates the beautiful Australian sunshine, and spending time with his young family living the “Australian Dream”. Mitch has built a fantastic reputation within the industry due to his ability to offer a full set of services, from sourcing terms through to managing covers and guiding clients through the claims process. There’s no surprises when Mitch has you covered! How has Mitch assisted his clients? We just wanted to say a “Thank you” to you all for all your help and support getting the Car and Grader sorted both financially and insured. The communication and service I received both from Julie and Jane have been exceptional – those two ladies are an asset to your Team at QPF. Both Rick and myself look forward to dealing with you again. I wouldn’t have thought I’d be posting another review quite so quickly, but here I am, because once again, Troy, Lynette & the team at QPF have come through. 3 days later we were approved & took delivery of our new van literally three months after purchasing our new truck through QPF, once again we were delivered silver service, not only on our finance, but also insurance for both Vehicles. I cannot recommend Troy & the team at QPF highly enough, professional, friendly & willing to babysit us through our loan applications, Thanks Guys! !